I love fairy tales ~ does it show? I’m still getting to know my Coral Painter Lite. Brown Faux Fur Shrug worn with a stunning Hi-Low Jersey Black Top which features brass skulls. 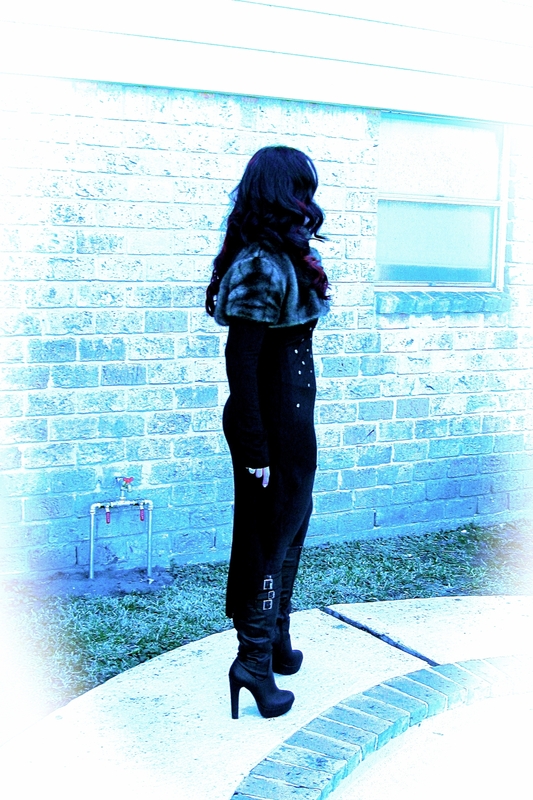 I paired these two exquisite garments with sleek Black Leggings and killer Nikita Boots. Brass Choker/Necklace with Fool’s Gold and Chains a-plenty. See those skulls?? LOVE LOVE LURVE. 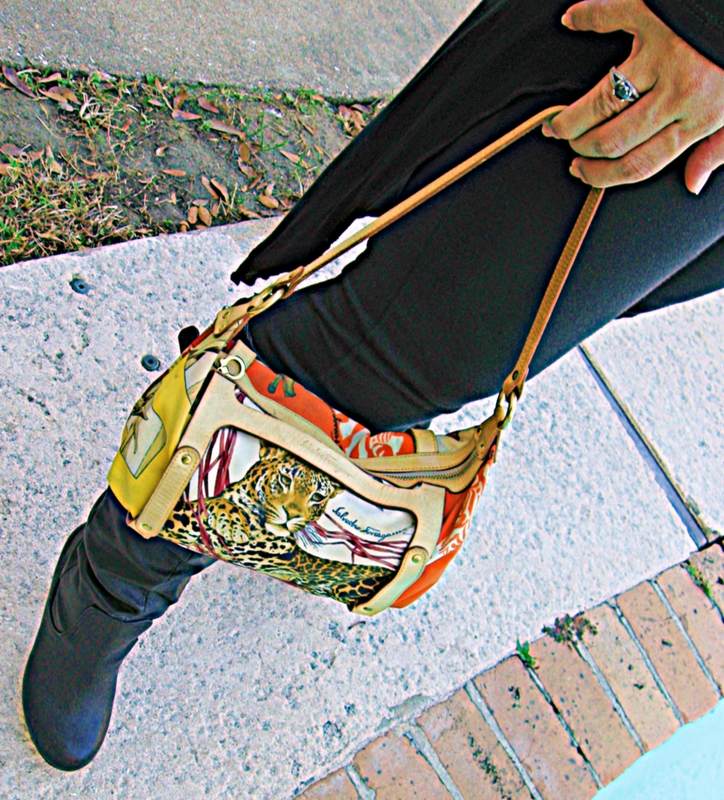 A gift from my man, this is one of my all time favourite bags – a vintage Ferragamo featuring gorgeous wild animals, leather and some hardware. Just phenomenal. Trying to act all cool and nonchalant as only a 40 year old can. And that’s all there is for now, there isn’t anymore.